It sounds like Ghost is feeling insecure. That can be difficult when a cat is as smart as Ghost is. He's going to find a way to make himself feel better, even if that means getting outside. He will also feel better if he spreads his scent around by urinating and scratching improper areas. It's important to remember that cats don't act out of spite, ever. They simply don't have the capacity for that. It can be easy to interpret their behaviors that way because we're so used to looking at them as if they were small humans. They aren't, so the first step is to try and imagine the situation from Ghost's point of view. He's clearly agitated, so what's upsetting him? Many times, there's a less visible aggressor in a multi-cat household and Ghost may be getting bullied. He may even feel bullied by you. You should never, ever shout at or push a cat off of anything. That's physical aggression in cat terms and most cats will respond negatively to it, just as Ghost has. When you get physical with him in any way, especially when you're upset, he will see you as a predator. All he will learn from those interactions is to fear you. He will not connect your aggressive responses to his own behavior. Cats do not have a pack mentality. They look upon us as equals, not as masters to be obeyed. It will help if you offer more positive reinforcement. Instead of chastising him when he does something you don't like, treat him when he's behaving. When he uses the litter box appropriately, offer him a small treat. When he lounges in a spot you like him in, offer him a small treat. If he does something you don't like, overwhelm him with love and gently move him away. He may not enjoy being handled in this way, but he won't see it as aggressive, especially if you do it in a happy way. Be consistent in this behavior and you'll see change. Think about altering your own behavior toward Ghost. You obviously care about him enough to reach out to us. Just take some time to consider how you might make him feel more secure. It will take time, but he will respond to your efforts. Best wishes to you and Ghost! Deanna, if you haven't taken Loki to a veterinarian for a checkup yet, it might be a good time to make sure she's okay and has no problems with incontinence. Once she's gotten a clean bill of health, it's time to address her security issues. Most cats have a period of adjustment after being adopted. In most cases, the worse their experiences with humans was before, the longer that adjustment period will be. Coming into a new home, especially one with a dog, can be very stressful. The more stress a cat feels, the more likely she is to have litter box issues. The first thing to address is the litter box. If it's enclosed (has a lid) you want to remove the lid. Cats don't like feeling that they could be trapped where they're doing their business. They want to know there are multiple routes for escape. While your dog may be very friendly to Loki, she may still see him or her as a potential threat. You also want to make sure that it's easy for Loki to get in and out of the litter box. Some cats have issues with high-sided boxes. You also want to avoid the new motorized contraptions that self-clean. The noise and unpredictable movement of the mechanism can be very scary. The positioning of the box is also a big deal. You don't want to put it in a noisy or high-traffic area but it needs to be easily accessible. If you put it in a dark corner of the basement, it may be too far away from the area Loki perceives to be her territory. Even when you can't smell the litter box, Loki can and its smell reinforces her claim on her territory. If she thinks that the area is challenged at all, even by you or your dog, she may avoid it. Cats are extremely sensitive to territorial disputes and most will do anything to avoid conflict, including not using the litter box. If it's possible for you to place the box somewhere where your dog can't get to it, that will be best. You may want to address the kind of litter you're using but if she's using it part of the time, she must be recognizing it. Most cats prefer sandy, soft grains to some of the newer pellets and chunkier textures. The fact of going outside the litter box actually introduces additional stress to the situation because Loki would rather go in a place where she can cover her waste and feel good about it. One thing you can do is to treat her when you notice she HAS used the litter box. Don't hover - no cat likes to be watched - but if you hear her scratching around in her box, a treat is in order. Overall, the trick is to make her feel happy and safe in her new home. Make sure she has plenty of high spaces to climb to - most cats feel safest up high - and make sure she has at least one spot where no one, not even you and especially not your dog, can reach her. Don't pressure her or punish her when she goes outside the box. Punishment doesn't work with cats, so no harsh voices. Only kindness and understanding will solve this issue, and you've already illustrated both by reaching out about this. Thank you! We've had some similar questions in the past. I'll include links to those answers below in case something there is helpful as well. It may take a little bit of trial and error to figure out just what's bothering Loki, but I feel sure you can sort it out as long as you address it kindly from Loki's perspective. We wish you both all the best! Should I Toilet Train My Cat? It sounds great, doesn't it, Maggie? Baxter could just perch up on the toilet seat, do his business, and be on his way without all the muss and fuss of keeping up a litter box! No sweeping up or vacuuming. No more lugging 25 pound boxes of litter home from the store. No more odor. It sounds too good to be true, doesn't it? That's because it is. While it is possible to teach a smart cat like Baxter to use the toilet, it's not such a good idea for him in the long run. The reason? It introduces stress to an activity that's ingrained in your cat's biology. Over thousands of years, cats learned to cover their waste to keep from being detected by predators and prey. When this is forcibly changed, a large number of behavior issues can be the result. It's just not worth it for you or for your cat. It goes against a cat's instinct to dig and bury their waste. Litter box odors reinforce a cat's claim over their territory. As Baxter ages, he'll no longer be able to nimbly perch atop the toilet seat and is more likely to fall in. When he's boarded or kept in veterinary care, a litter box will be the only option. You can't move a toilet. The location of Baxter's litter box is critical to his elimination behaviors. If you have more than one cat, you should have one more litter box than the total number of cats. That doesn't really work with toilets. It makes it impossible for you to monitor urine output. Changes in urine output are key indicators to medical conditions like bladder stones and urinary tract infections. So, while it seems like a great idea from the point of view of us humans, Maggie, toilet training Baxter will probably cause him great stress. It's better to focus your time with him on playing games and giving him positive reinforcement that increases your bond. You might even like to try clicker training. We wish both of you all the best! Anita, the problem probably isn't the litter or litter boxes but rather Sherman's insecurity in the household. His fear is what's driving this behavior. The bed is the scent-center of the house because it's where the greatest concentration of human scent lies. By urinating there, Sherman is making himself feel better about his territory and his place in the social hierarchy. The big question is how do you help him to feel more secure? Once you've done that, this behavior should stop. Security is a tricky problem that usually requires a lot of observation to unravel. First, you need to make sure there's no real competition for resources among the cats. Sherman should have his own food and water bowls that aren't in the line of sight of the bowls that the other cats use. It sounds like there are plenty of litter boxes, so that shouldn't be an issue. Another resource is prime window space and sleeping places - especially vertical space. Since the bed is the center of this issue for Sherman, is he facing stiff competition for sleeping space on the bed? It may help to add taller cat trees so Sherman can get up high. More enclosed hiding places can help too. Anywhere that he can go where neither you nor the other cats will physically get to him. A small box on an accessible closet shelf or under the bed can be a perfect hideaway. Cat trees are the best because they immediately add vertical space. If they're placed near shelves, they can also provide access to high areas that help many cats feel more secure. You'll also need to set aside special time to interact with Sherman without the other cats around. Just thirty minutes spent paying with him alone each day can work wonders. Since the bed is such a focus, that would be a good place to play. Just close the bedroom door so the other cats will give you time alone with Sherman. He'll feel better with your undivided attention and he can also spread his scent on the bed without urinating there. Speaking of scent, you'll want to pay special attention to laundering the bed clothes where Sherman has urinated. If he continues to smell it, the scent will reinforce his behavior. 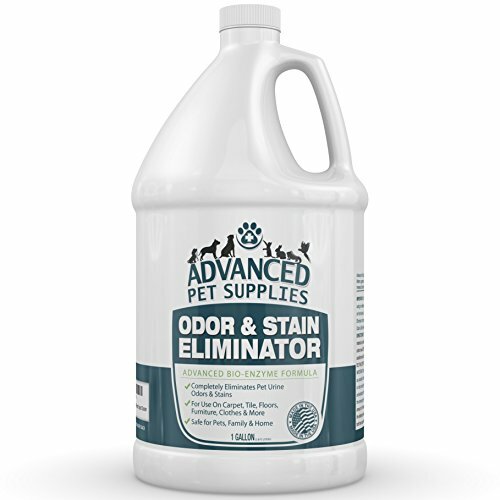 Use a good enzymatic cleaner to permanently get rid of the odor even to Sherman's sensitive nose. Observe him diligently, Anita. Notice what scares him. The other cats may be subtlely pushing him away when they sense his fear. Intervene if you can. Pet him under his chin and raise his head. You'd be surprised at how much hands on top of an insecure cat's head feel as though they're pushing him down. Help him to build up his courage and social position in the house and the problem should correct itself, but it will take time. Above all, never punish him for improper urination. All that will do is to teach him to feel insecure around you. We wish you both the best of luck! Why is my Cat Urinating on My Bed? Jane, any time a cat soils outside her litter box, they're having some sort of problem. Usually, there are multiple issues that contribute to the behavior. The bed is key here because it's the center of the household for cats. It holds a significant concentration of your scent, so it's where they often feel the most relaxed and secure. But it can also be the cause of conflict in multiple cat households. Since Gigi-mo is getting older, your first order of business should be to determine whether or not she has a urinary tract problem. If she has bladder stones, a lower urinary tract infection (UTI), or an incontinence problem, she could be either relaxed enough in the bed to release, or she's trying to show you that she's in pain. Once Gigi gets a clean bill of health from her veterinarian, you can proceed with your detective work. Before we go much further, we suggest you read this post on why cats generally soil outside the litter box and this post on the link between improper urination and security. If the problem isn't related to illness, it's usually related to stress. Something may have made Gigi feel insecure and she's using her urine scent to help her to feel better. When exploring potential issues, bear in mind that cats are much more sensitive to scents than we mere humans are. Try to think like Gigi might think about the situation. For cats, scents occupy physical space in the same way that big, colorful smoke bombs would to us. Is there competition from the other cats for prime positions on the bed? When did the most recent cat join the family? In particular, think about the first time Gigi urinated on the bed. Were there big changes in the household around that time? New family members? New furniture? Even new cleaning products can create problems. It's possible that after doing it once, she has repeated the behavior because her urine scent is still present on the matterss and laundered bed clothes. Be sure to clean both with a good enzymatic cleaner in order to completely get rid of Gigi's urine scent. Next, observe how the cats in your house interact. Are there enough prime sleeping locations for everyone? Is there competition for resources? We recommend you read this post on how to keep the peace in a multi-cat household, and don't forget how subtle cat communication is. There could be a full-out war going on in your house and all you'd see would be the cats ignoring each other. Your goal, Jane, should be to discover what's bothering Gigi, as something most certainly is. 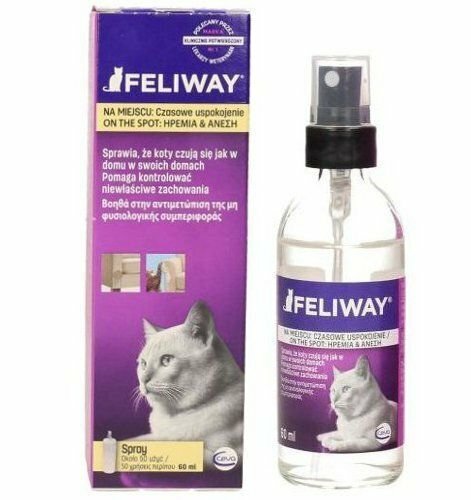 While you're on the case, you can use an artificial hormone product such as Feliway to help treat Gigi's stress and alleviate the symptoms for now. Test a little on your bed clothes first to make sure they won't stain, then spray a little on the area where Gigi usually sleeps. That should provide enough stress relief to stop her improper urination until you can home in on the source of her illness or insecurities. We know how frustrating this sort of problem can be, Jane. Many cats lose their homes over issues like this. We hope that you'll take the time to try and understand what's bothering your feline friend. With a focused effort and a keen eye on the behavior of all the cats in the household, we believe it will become clear. We wish you and Gigi-mo all the best!